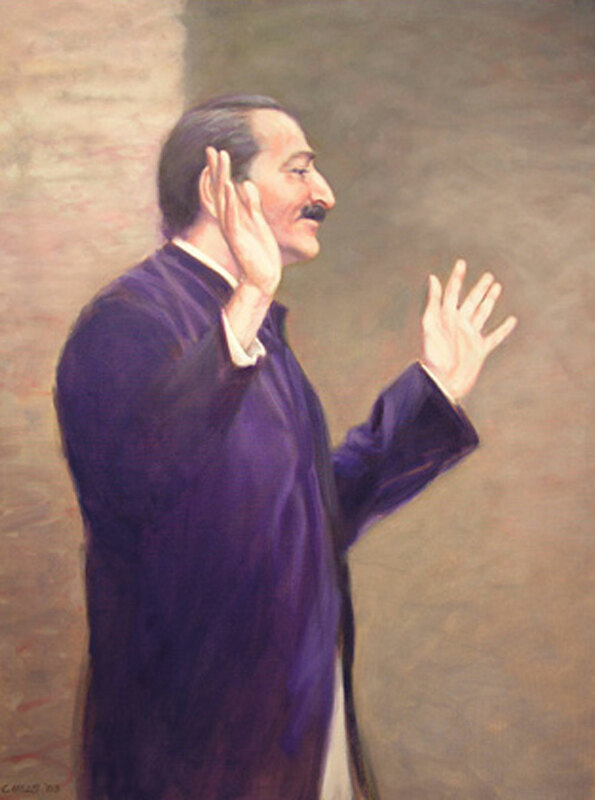 In the artist's studio in 1990, a painting of Baba in a blue coat intrigued Dr. Beverly Whitmire. It had just been sold. Fourteen years later, unable to forget that image of Baba, she returned to the artist's studio to commission her own painting. ☛ When ordering this print please reference: 2003-10 Untitled and the print size you would like.